Isn’t it hard to believe that cute little fur ball can reek so much havoc on us? 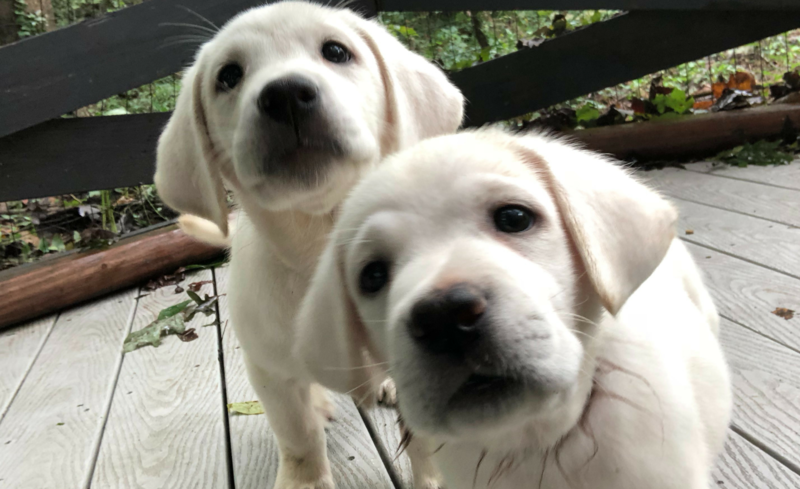 Well, you have come to the right place as we are going to teach you how to look at things from your puppy’s perspective! All they need is for you to be instructional and tell them what you want, in a way they can understand. Number One Rule: Be INSTRUCTIONAL to your puppy. Tell them what you WANT them to do. Puppies want to please, they want to see happy not stressed. Did you know that when you are even the slightest bit stressed…your puppy knows it. Your perspiration changes and your dog can literally smell your anxiety. The old saying a dog can smell fear is actually true. Train Your Puppy’s Temperament FIRST! Many people rush right away in to teaching their puppy to sit. What they don’t realize is while their puppy may be PERFORMING the sit, they really don’t know the command. A puppy must learn HOW TO LEARN before they will ever be able to understand what you are teaching. By shaping their temperament you are actually building a relationship on trust. This is a key ingredient to a well behaved puppy. We often forget to point out the good behaviors our puppies and dogs do. We see them laying nicely and being quiet and we just walk on by. If they were running around and barking, we are sure would point it out, but yet our nature is to ignore the good. So don’t be so negative! Point out the positive when your dog is being well behaved. You will be shocked the impact this will have on their behavior. You are the key to your puppy understanding how to behave. Even though all puppies are individual, and can learn at different rates, they learn by watching, imitation, and association. Here at our facility we actually train puppies by watching themselves on television. They see videos of themselves sitting, laying, waiting, walking, and so forth. We actually start this when they are only 4 weeks old! PUPPY TRAINING TIP: Train you puppy using “plural” words. By saying “sitting” instead of “sit” during the learning stage they will learn 50% faster! With all of the latest technology our society has become impatient. We want it now, we get upset if things don’t happen as quickly as we like. Our dogs also get impatient about what we want, and they quickly make their own determination of what we are asking. Their learning style is completely black and white. They learn by the opposites. They don’t know how to multi-task, they don’t know the word “maybe” or “possibly”, they only know if they do “this”, then “that” will happen.